During 50 years many things may appear and disappear. But those that are important usually remain in time. This is what is happening with Marriage Encounter. Years go by and its message and contribution to the family, married couples and stable relationships, priests and consecrated, continues to be strongly present. It provides that important “extra” that makes this world a bit better and cooperates in making real “As I have loved you” from the Gospel. In this 50 years we have managed to be present in more than 90 countries in the five continents, and we face the challenge to continue expanding. 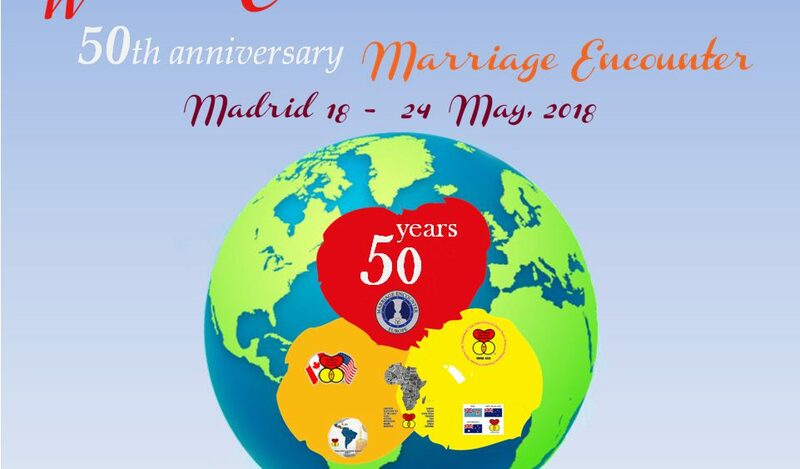 In this 50 years, thousands of married couples, priests and consecrated from the five continents have lived the experience of the Weekend and have had the oportunity to regenerate their relationship and enjoy more the love they have for each other. In this 50 years we have demonstrated our commitment to contributing our grain of sand to make our world a better place. For all these reasons and for many more, we congratulate ourselves and we are happy to celebrate this 50 years of life as a movement, being good news for our society. And we are proud to say that this great project had its origins in Spain, when in 1952 Father Gabriel Calvo and a married couple started to work the relationship of married couples through dialogue. 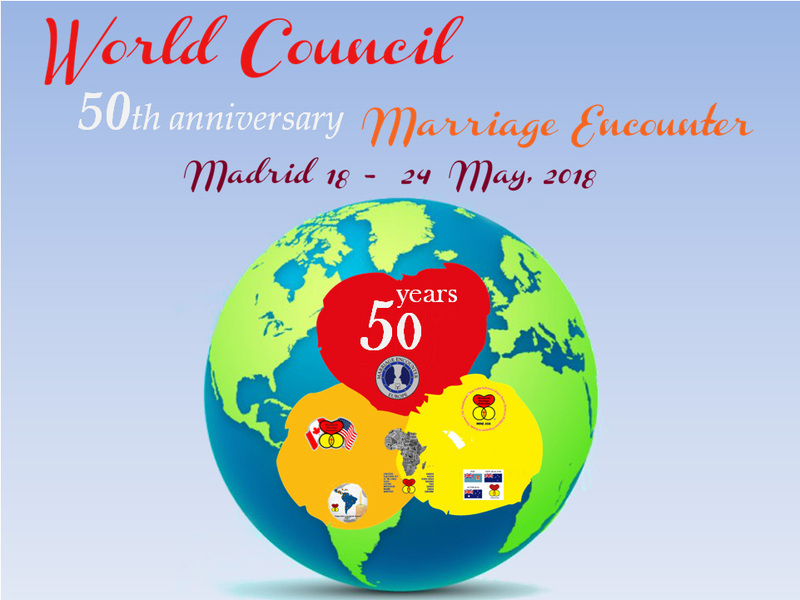 For all this, Marriage Encounter, catholic movement, celebrates its World Council for the first time in our country, specifically in Madrid, from the 18th to the 24th of May. 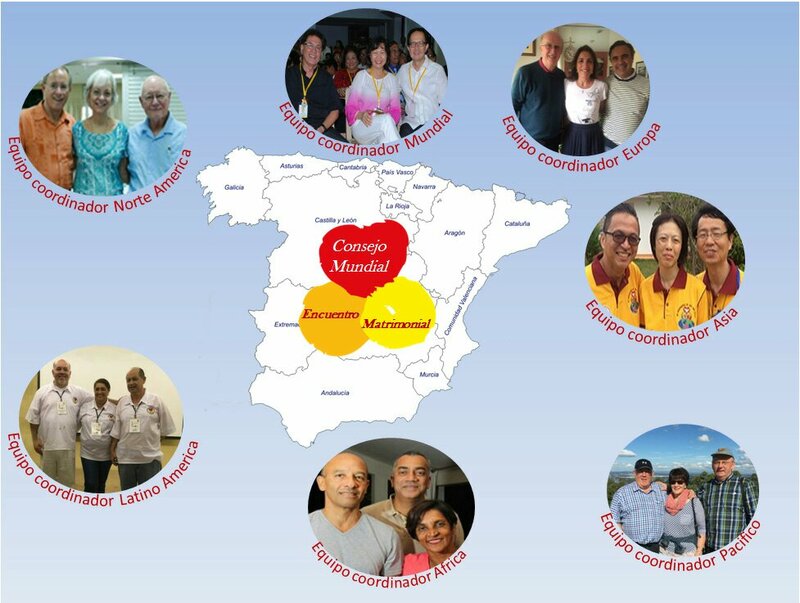 This Council is formed by the International Ecclesial Team and 6 Ecclesial Teams, that correspond to the 6 great regions in which the movement is present: North America, Latin America, Oceania, Africa, Asia and Europe. Every year this event takes place in a different continent/region. Besides, for the first time, the European Team is Spanish and is formed by Josico Mata + Susana Pradera (married couple) and Andy Burns (priest). Marriage Encounter is a movement of the Church, coordinated by married couples, with the help of priests and consecrated. Our vocation is to serve married couples and families, as well as priests and consecrated. As the core event of the whole Encounter, a Mass will be celebrated the 19th of May at 10:30 at Madrid’s Cathedral, La Almudena. It will be presided by the Cardinal Archbishop of Madrid, Don Carlos Osoro. We have ahead a marvelous challenge and we want to continue being good news for the Church and for our society, for the next 50 years.